A1 practice. Students find out about homes in different periods of British history. They complete the sentences with the past of to be. 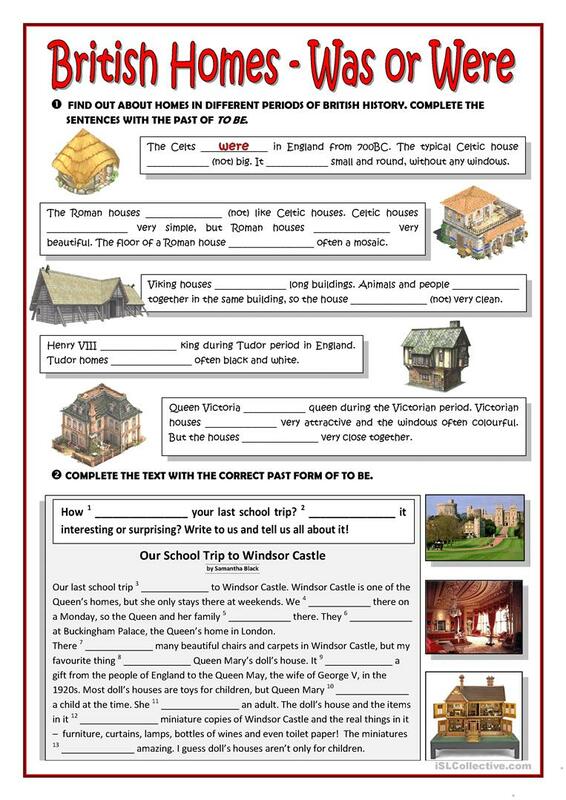 Then students complete with was or were an article written by a student about a school trip to Windsor Castle. The above downloadable worksheet is recommended for high school students, elementary school students and adults at Elementary (A1) level. It is great for practising BE: WAS or WERE in English, and is a valuable material for honing your class' Reading skills. It focuses on the theme of Home.